Neem Oil For Head Lice: Neem Shampoo A Natural Home Remedy? Is Neem Shampoo A Natural Home Remedy? 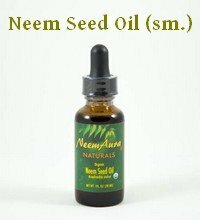 Neem oil for head lice? 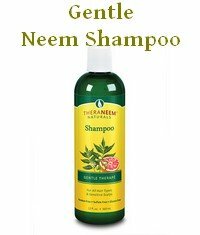 Whether neem shampoo is a home remedy for head lice is a popular question. Head lice are such persistent little pests and the usual chemical head lice shampoos are rather nasty. Do you really want to wash your hair with insecticide? Some over the counter and prescription remedies are so toxic that you can only use them once every ten days. Wouldn't it be great if there was an effective, natural home remedy for head lice? If you could just wash your hair with a nice neem shampoo and that's it? All fixed? It is common wisdom that neem oil shampoo prevents head lice. Head lice, like all insects, hate the smell of neem oil, and even the slightest hint of neem keeps head lice away. 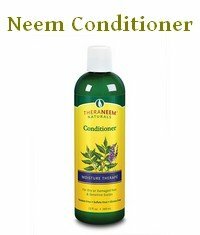 Yes, the residue of neem shampoo and/or conditioner is usually enough. But can neem shampoo get rid of an existing head lice infestation? Preventing head lice is great, but an existing infestation? That's a different cup of tea. Most people think that neem shampoo won't be enough. The recommendation used to be to use undiluted neem oil for head lice. Yep, a head lice infestation is the only condition where the use of undiluted neem oil is recommended. It's a messy and smelly operation. Sixty children, all heavily infested with head lice, were treated with neem shampoo. The study showed that if the hair is washed with 20 - 30 ml of neem shampoo and the shampoo is left in the hair for at least 10 minutes, then neem shampoo is highly effective against all stages of head lice. The head lice shampoo used in the trial contained neem seed extract. If a neem shampoo is to be effective against head lice it should contain neem seed oil or neem seed extract at a fairly high concentration. Many neem shampoos contain neem leaf or bark extracts, and often they don't contain all that much. So please do not misinterpret that study. 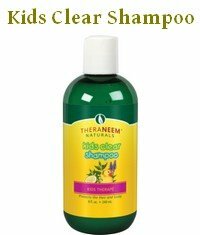 It does not mean that ANY neem shampoo will totally clean up a head lice infestation just like that. But it is a promising trial. Even if the neem shampoo didn't kill the head lice eggs, it shouldn't matter. Such a natural, herbal head lice shampoo can be used daily. Any remaining eggs that the nit comb missed would be dealt with as soon as they hatch. Using the neem shampoo would also prevent re-infestation via contaminated clothing, bedding etc. This trial followed a 2006 laboratory experiment on Australian head lice. The results there had been the same. The neem oil shampoo was highly effective against head lice, more effective than a conventional head lice treatment containing permethrin (a common pesticide). The Australian researchers even predicted that plant based treatments will over time replace conventional treatments if resistance to those increases. Want to give it a go and use neem to treat head lice at home naturally? 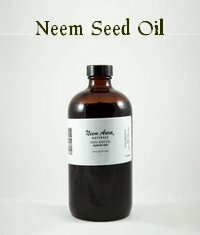 Buy Neem Oil to add to your shampoo. Experiences and results from my readers. Have you used neem oil, neem shampoo or other neem products to deal with head lice? Other readers would love to hear about your first hand experiences with neem. Click below to read about other readers' experiences and questions about neem and head lice. Undiluted neem oil for head lice--now what? Parasitol Res. 2007 Jan;100(2):329-32. Epub 2006 Aug 10. Efficacy of neem seed extract shampoo on head lice of naturally infected humans in Egypt. Parasitol Res. 2006 Sep;99(4):353-6. Epub 2006 Mar 28. A new shampoo based on neem (Azadirachta indica) is highly effective against head lice in vitro.